Trump Forces NFL Retreat. Players Must Stand for Anthem. In a sign that players were not part of the discussions, any violations of the policy would result in fines against the team — not the players. The NFL Players Association said it wasn’t consulted about the new policy and would challenge any changes that violate the collective bargaining agreement. The owners spent several hours addressing the contentious issue — which has reached all the way to the White House. President Donald Trump was extremely critical of players who didn’t stand during the National Anthem. The president also criticized the NFL for allowing players to kneel during the anthem. Goodell said the change was approved unanimously by the owners at their spring meeting in Atlanta, but even that was up for debate. Trump turned the debate into a campaign issue, saying the NFL should fire any player who takes a knee during “The Star-Spangled Banner.” The NFL hasn’t gone that far, but Kaepernick has yet to land another job and one of his former teammates and fellow protesters, safety Eric Reid, is also out of work. 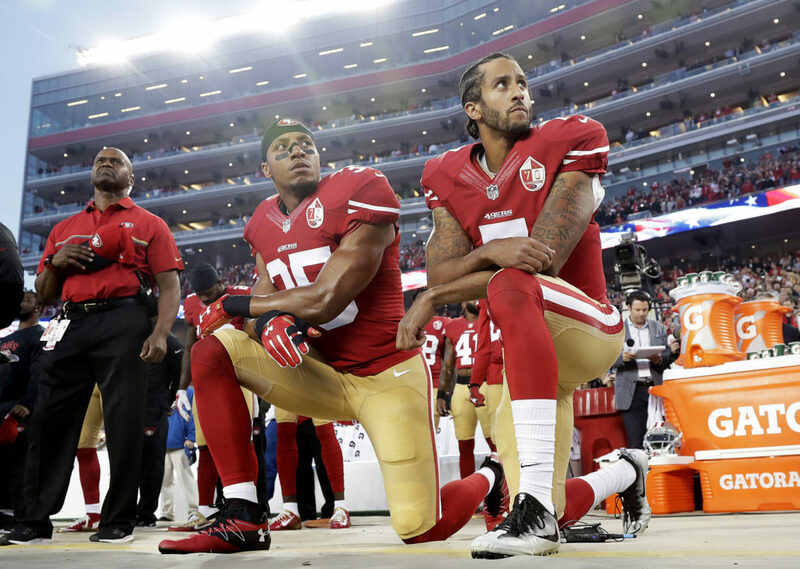 The owners sent a bit of a convoluted message with the new policy — appeasing those who feel the national anthem must be treated with reverence while allowing some sort of conduit for players to protest as long as they stay out of the public eye.